Creative Communication’s ADSL broadband services are the ideal solution for businesses that require enhanced upload speed for VPN, Voice, and remote worker access. 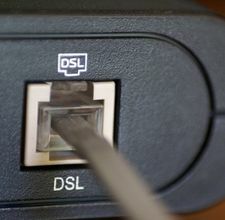 Creative Communication’s ADSL broadband offers throughput of up to 16Mbs and is available at less than half the cost of traditional copper wire lease line connectivity. Creative Communication’s ADSL broadband solutions are available with low contention ratios ensuring that your business receives the best possible service and speed available.